Up until now, presidential portraits have been fairly stodgy affairs. They always involve boring poses and basic backgrounds that (occasionally) feature flags or curtains in the background. 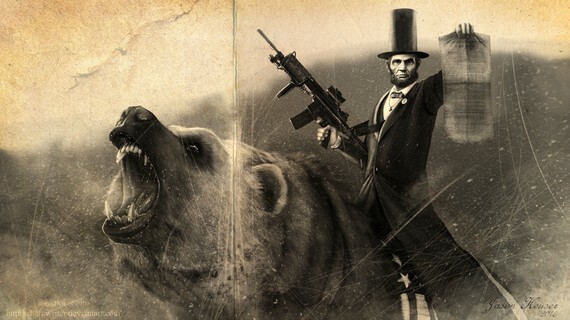 They've never been featured appropriately epic poses for such, well, epic men of history. 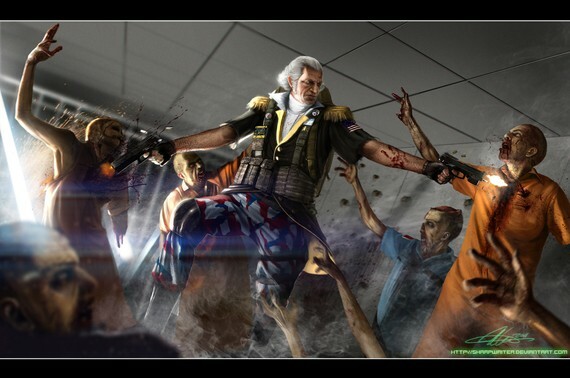 Now, however, an artist has come up with some pretty amazing portraits of the United States' past presidents that makes them look like the superheroes history textbooks would like students to believe they are. 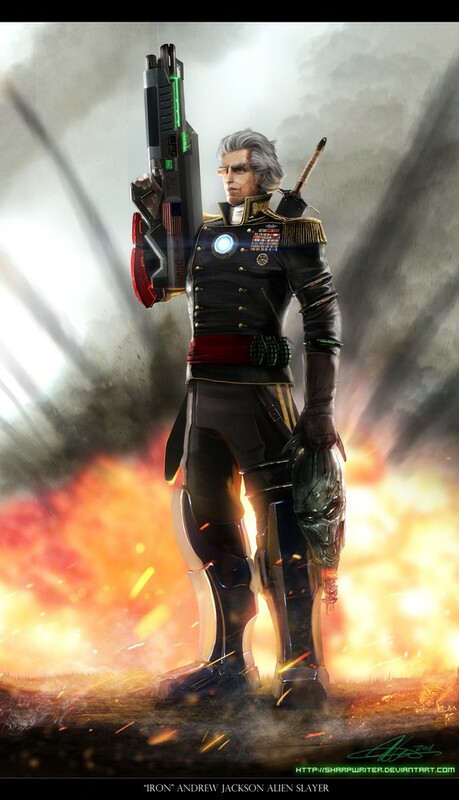 Artist Jason Heuser has created a series of portraits that look like they're straight out of the latest Hollywood blockbuster or big-budget videogame. 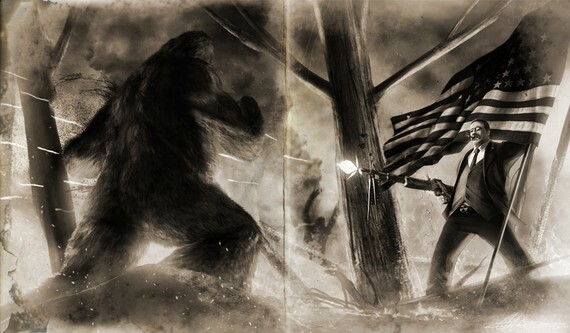 There's stuff like George Washington massacring zombies, Teddy Roosevelt squaring off against Bigfoot, Abraham Lincoln riding a grizzly bear (not, it should be noted, hunting down vampires), and the image of Franklin D. Roosevelt doing an Optimus Prime impression seen here. Several of Heuser's images are for sale right now on Etsy, while supplies last. 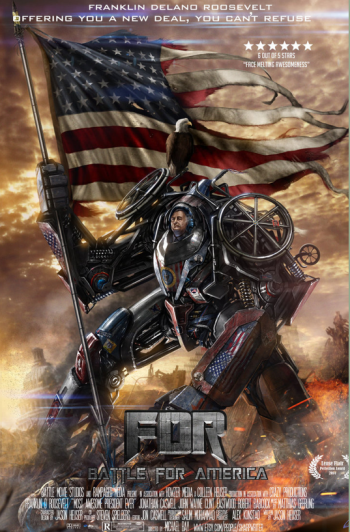 That said, while the various presidents look pretty amazing as they're rendered by Heuser, they still can't hold a candle to (Eventual President) Steven Colbert riding an eagle. We've included a selection of Heuser's more memorable images in the gallery below. You should totally check them out. 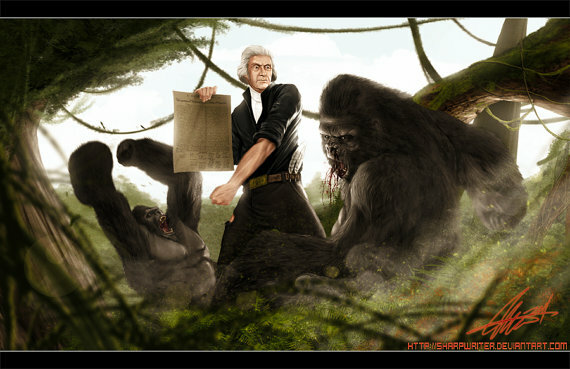 For America.